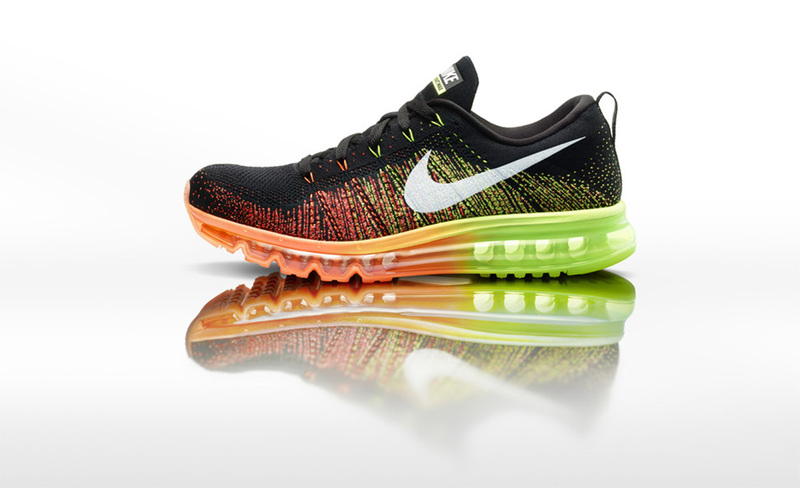 For the first time ever Nike have paired innovative Flyknit technology with the ultra-cushioned ride of the classic Air Max. Working alongside runners at the Nike Sports Research Lab, the designers were able to produce a lighter and more flexible shoe, using a redesign Waffle outsole for better traction, unique flex grooves to encourage a smoother transition, and integrated Flywire technology for additional support throughout the upper. 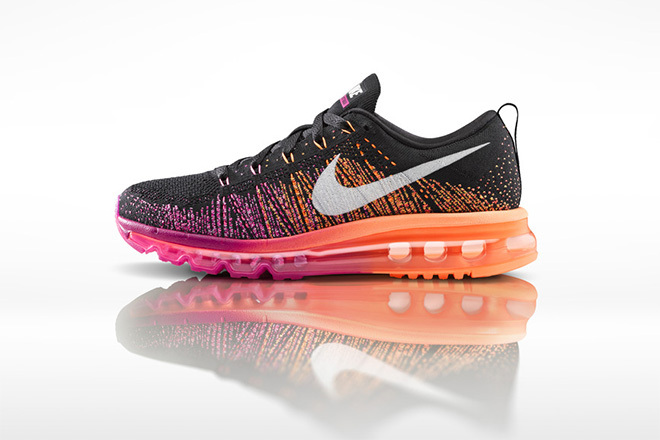 The Nike Flyknit Air Max comes in two colourways – red/green for men and pink/orange for woman.